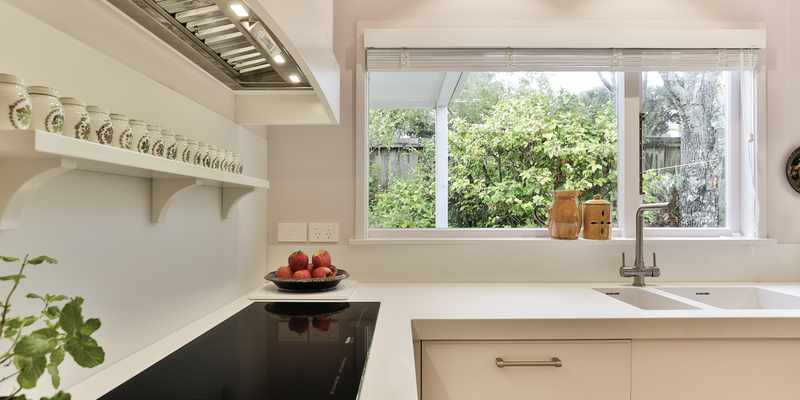 Kitchens By Design | Kitchen Design for Discerning Clients : Parnell Cottage. 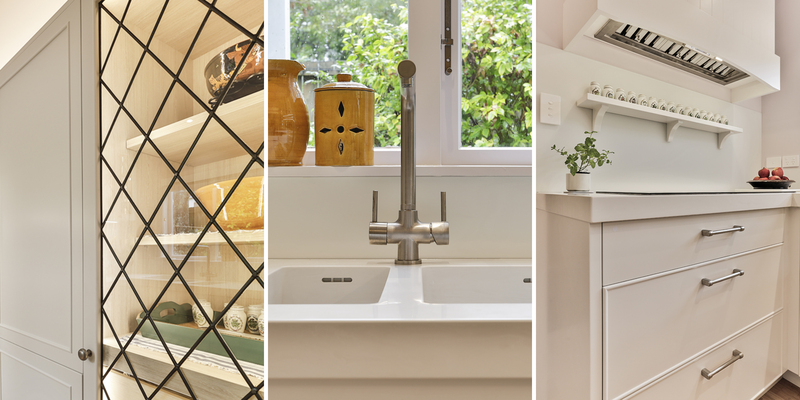 Sign-up for the latest news, project updates and thoughtful insights on kitchen design. A small, but perfectly formed country style kitchen for an older client in her cottage-style house. 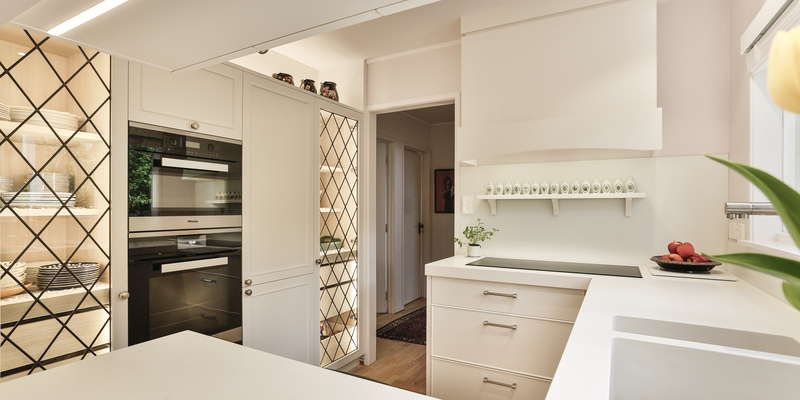 To make the most of the limited space, the designer filled the entire back wall of the kitchen with floor-to-ceiling storage. 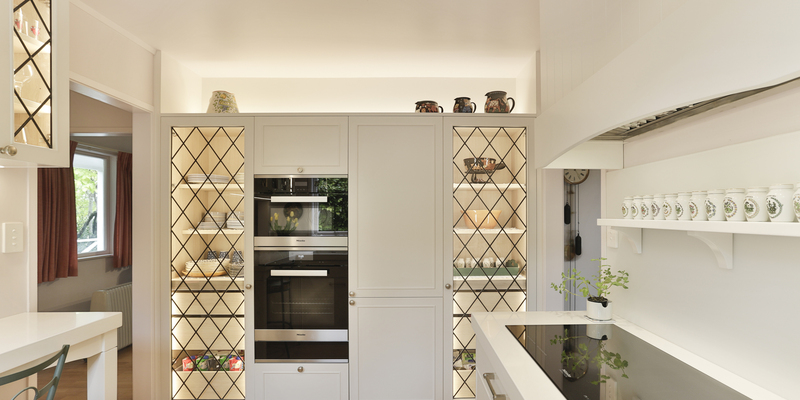 This cabinetry also houses the ovens and fridge-freezer – integrated, as not to interrupt the design – with illuminated open display above. As the space was so small, detailing was kept to a minimum, as not to overpower the design. Leadlight glass, which is a recurring design element through the house, was used, along with fine-beaded edges on doorframes, and tongue-and-groove in the rangehood panelling. 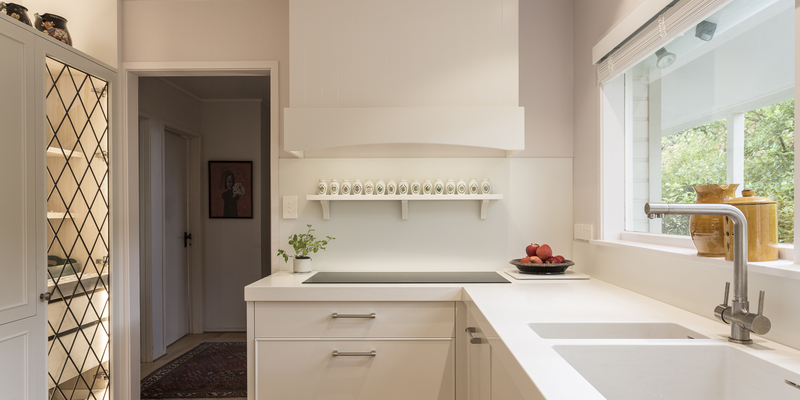 A floating shelf above the cooktop displays a set of little hand-painted herb and spice jars that were gifts from her husband over the years and held great sentimental value. LED lighting was used throughout the space for both task and feature lighting. The lighting helps to create a warm and cosy atmosphere. As the space was so small, detailing was kept to a minimum, as not to overpower the design. Looking to start your project? Lets talk.